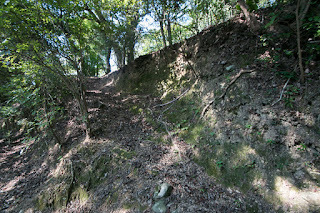 Nakamura castle (中村城) is built over Shiroyama hill, one of about 80 meter height in the center of current Shimanto city. 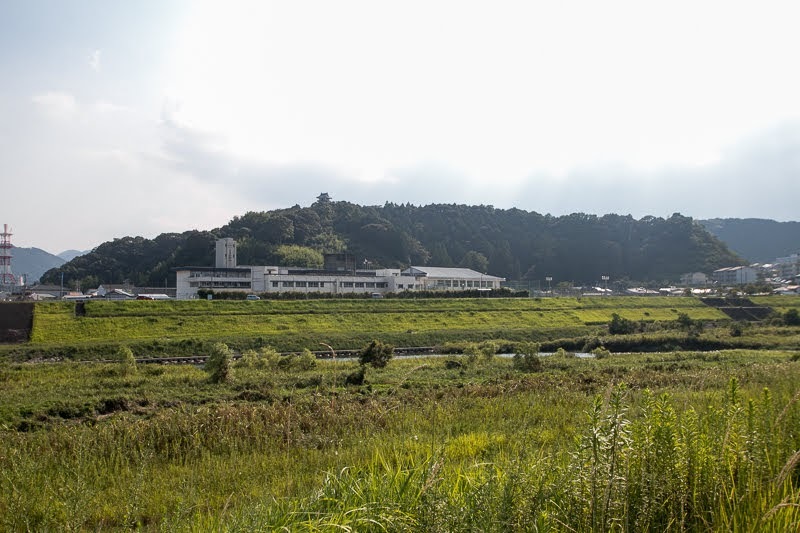 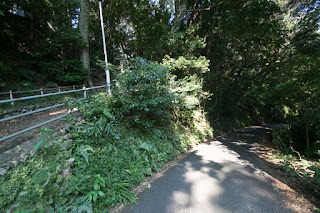 Nakamura area is narrow flat area at the meeting point of Shimanto-gawa river, which is praised as the last clear stream of Japan winding western part of current Kochi prefecture and its tributary Ushiro-gawa river just aside of river mouth. 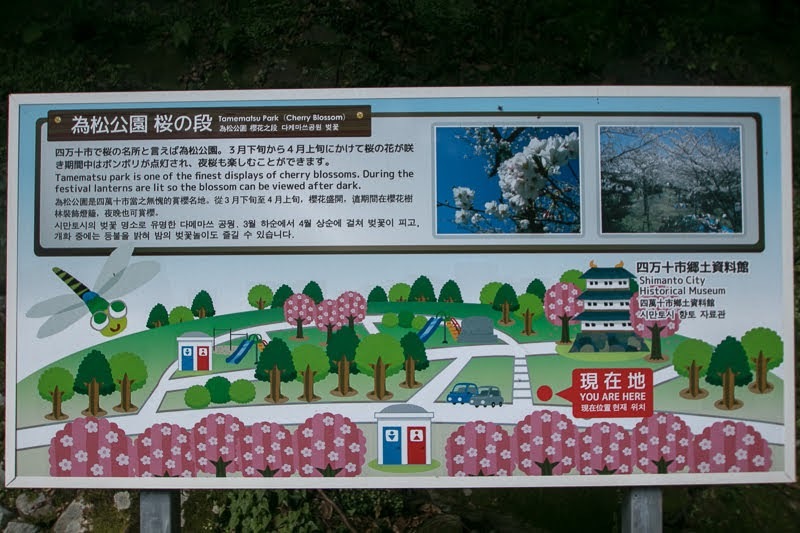 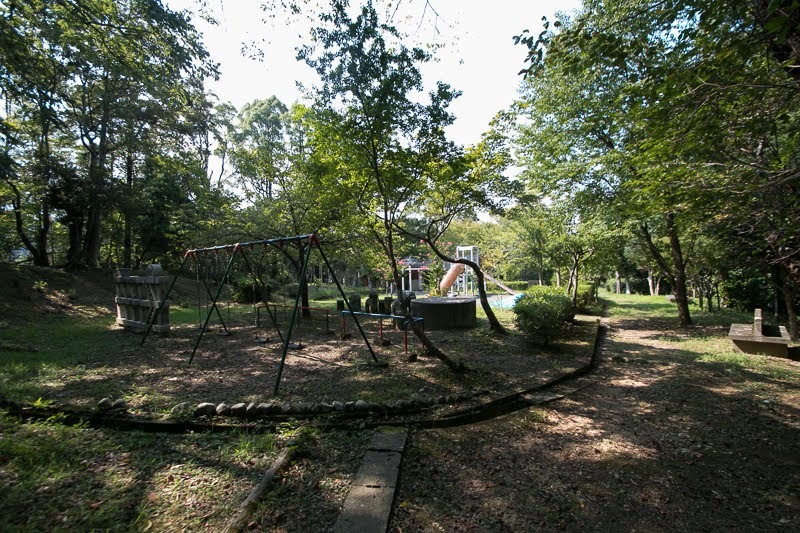 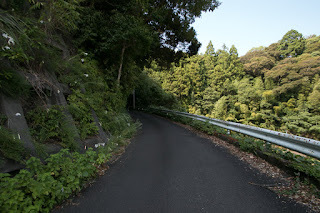 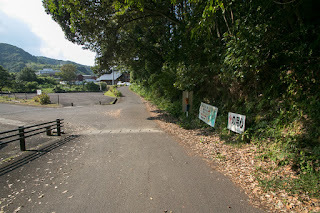 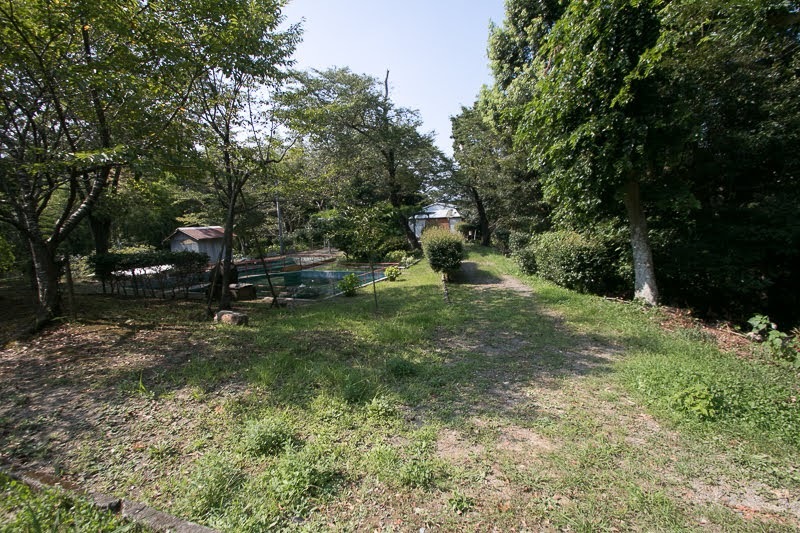 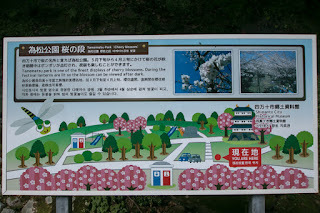 Nakamura area is a narrow flat area of 15 kilometer long toward Sukumo city. 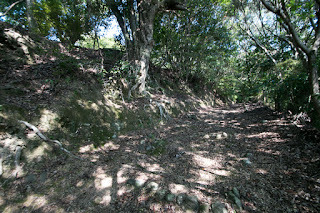 But in spite of its size, it was the most economically advanced area among the Tosa province (Kochi prefecture) of medieval era. 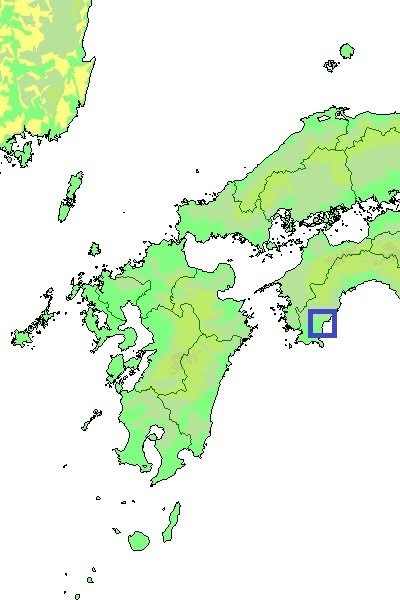 In addition to the loading of woods produced at Shimanto area, it was a connecting point of inner sea shipping at Seto-Naikai area, coast shipping rounds the south coast of Shikoku island, and ocean trade toward continent via Okinawa islands at the southwestern corner of Shikoku island. Precise year is unknown but Nakamura castle might be built by Tamematsu clan, an important retainer of local lord Ichijo clan in the latter half of 15th century. 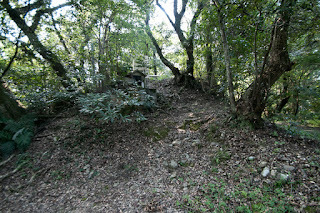 Ichijo clan was one of three warlords those origin were central nobles, along with Anegakoji clan at Hida province (northeastern part of Gifu prefecture) and Kitabatake clan at Ise province (Mie prefecture). 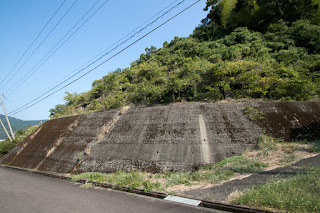 Among them, Ichijo clan was an outstanding noble which was one of five regent families, which were all descendant of Fujiwara clan which was dominated the aristocratic government in 11th century. 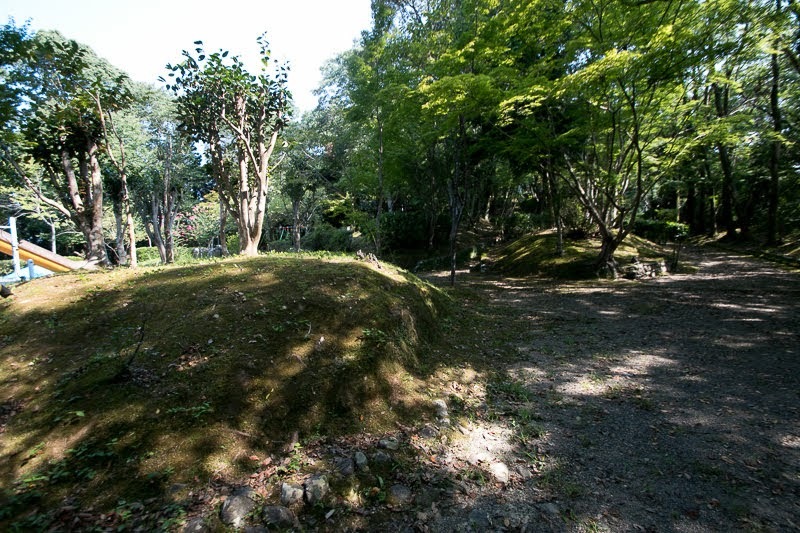 After the rise of samurais central nobles significantly lost their political power but still kept their fame and cultural power. However, as a result of the battle of Onin, the one between Hosokawa clan and Yamana clan which were highest retainers of Muromachi Shogunate continued over 10 years and burnt down Kyoto city, central nobles including the Imperial family faced serious economic problem. They lost properties at Kyoto city, and their local manors were deprived by rising local lords which now left the control of Muromachi Shogunate. To survive this difficult situation, the leader of Ichijo clan sent his sons to their local manners. 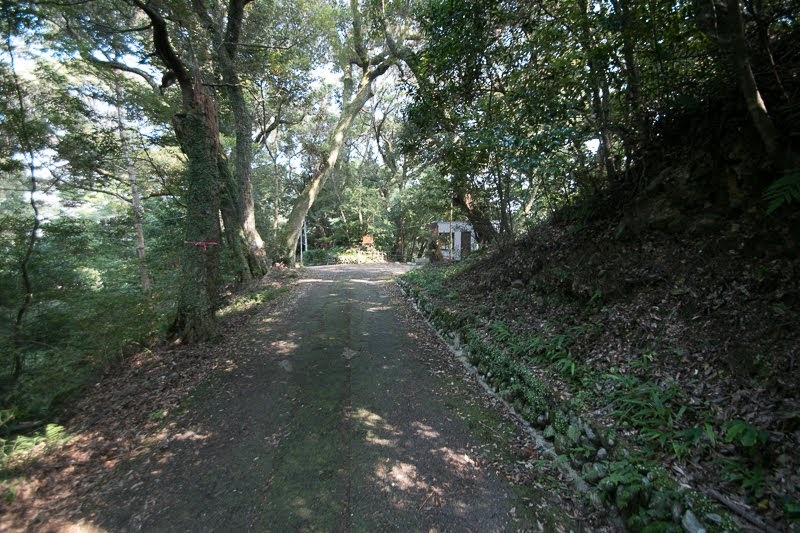 Originally Nakamura area was named as Hata manor which was given to Ichijo clan by Yoritomo Minamoto (1147-1199), the founder of Kamakura Shogunate. Utilizing their power Ichijo clan developed Hata manor into economically advanced area. 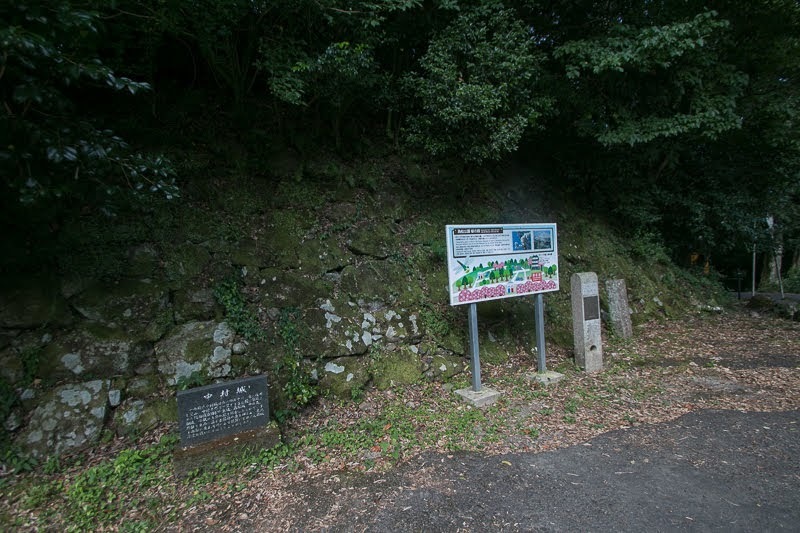 In 1468, Norifusa Ichijo (1423-1480), the eldest son of Kaneyoshi Ichijo (1402-1481) who became the highest position of nobles and known for his culture, entered into Nakamura area Even though Ichijo clan was an outsider, but got support from local residents and became the lord of the area. 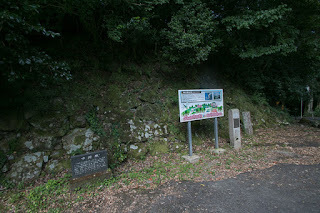 Fusaie Ichijo (1475-1539), the second son of Norifusa, formally resided at Nakamura area then Ichijo clan started its history as a warlord of Nakamura area. Fusaie placed his main base at Nakamura town, where resembles to Kyoto city between two river. Nakamura castle was built at Shiroyama hill, and a grid like castle town following Kyoto city was built a 500 meter long square shaped flat area between the hill and river. 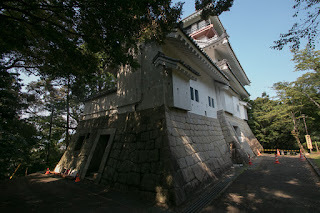 Nakamura Castle spreads over Shiroyama hill which is about 500 meter long and 200 meter side. 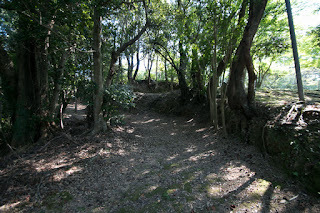 Central area of the castle is a rectangular one of about 30 meter long and 10 meter wide encircled by clay walls, at the peak of the hill in its middle part. 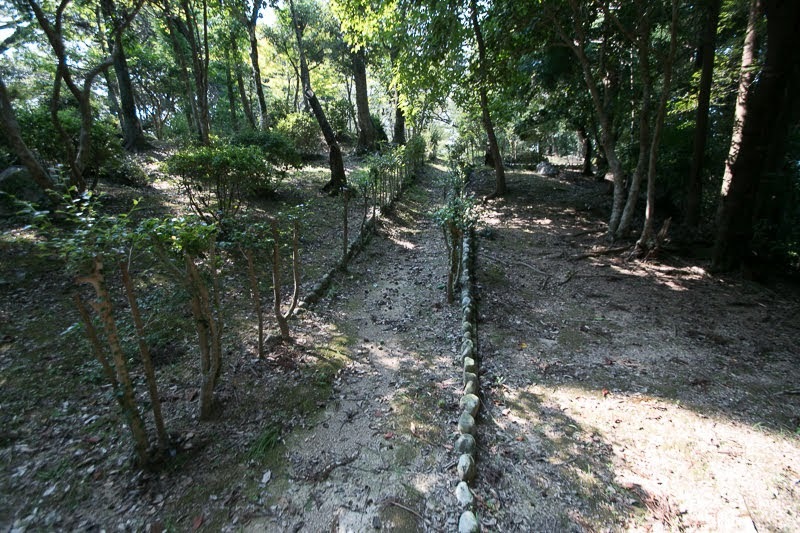 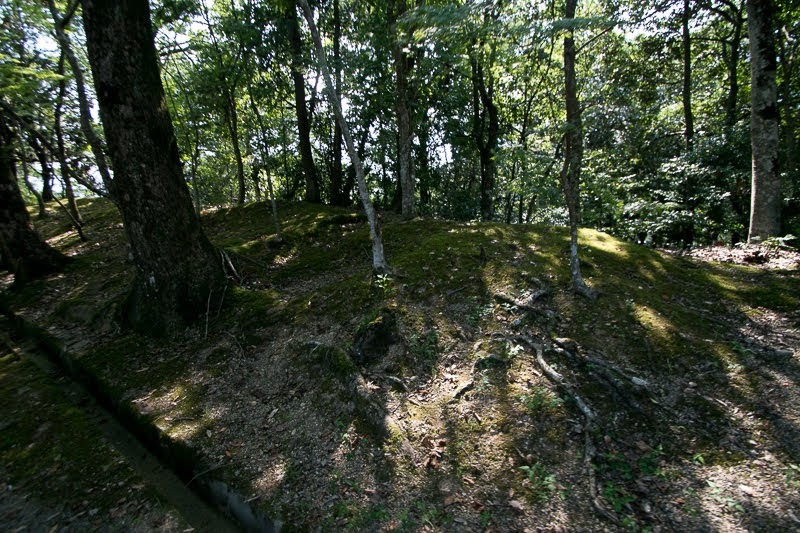 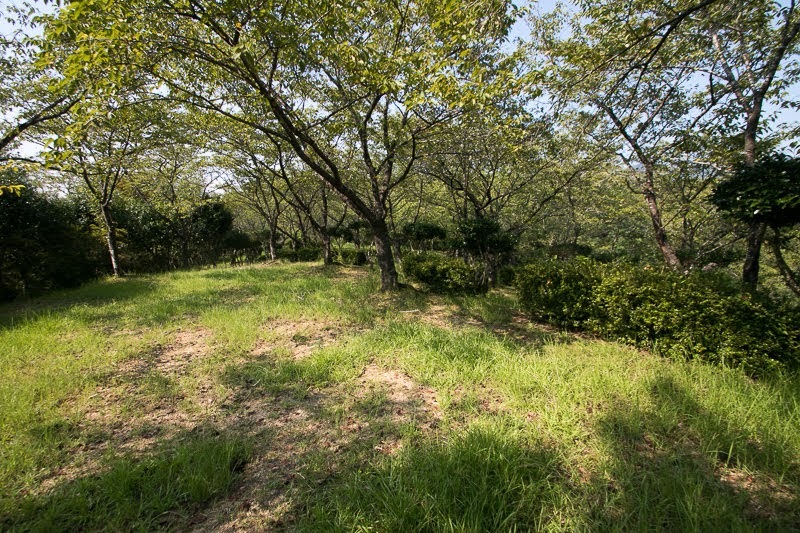 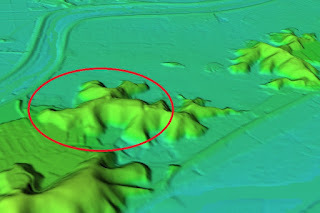 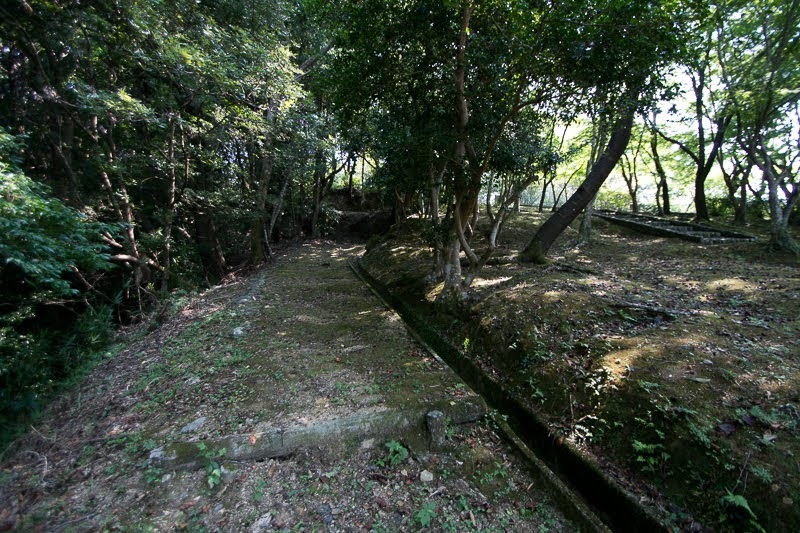 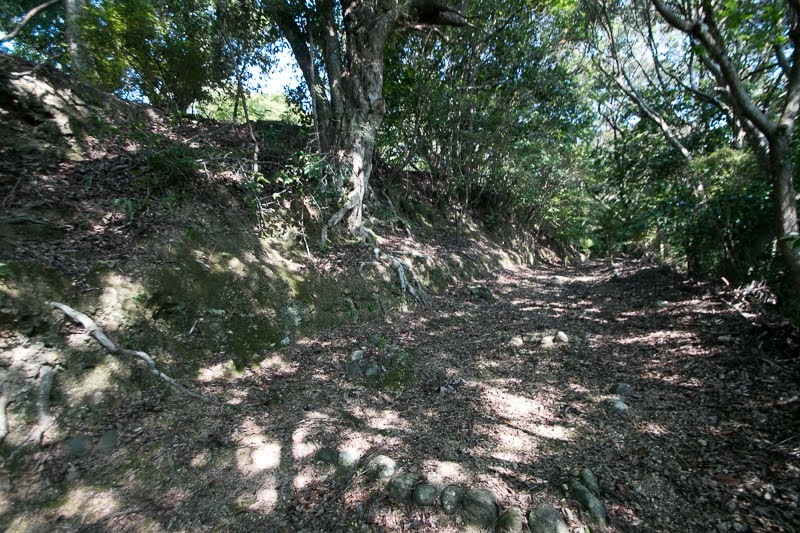 Secondary area exists at the west of central area, which has a stone wall at its south slope, and these areas might be the original castle of Tamematsu clan. 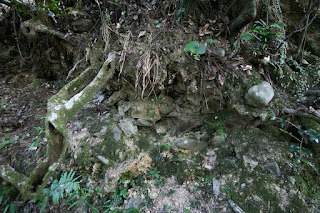 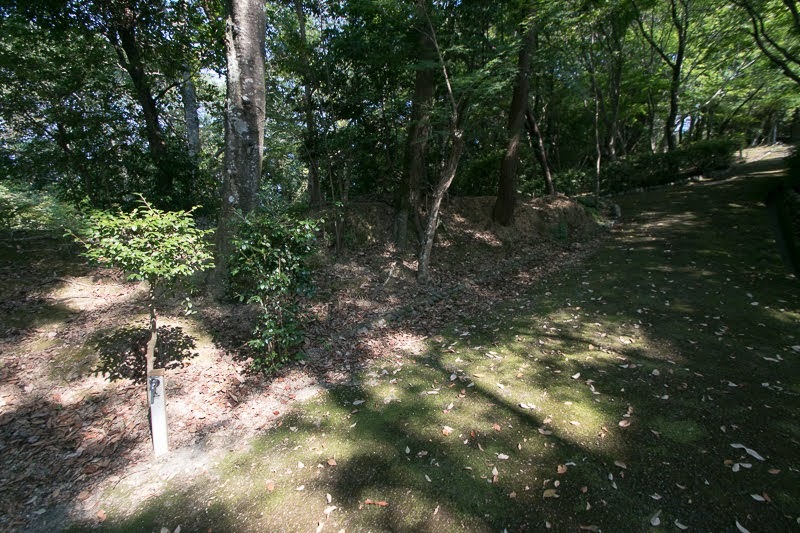 Toward north from central area, several terraces were built along with the slope like a step. 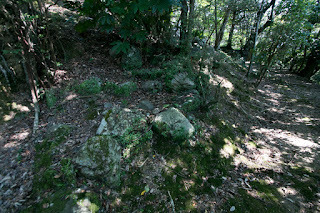 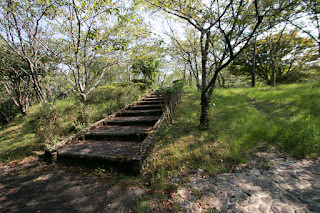 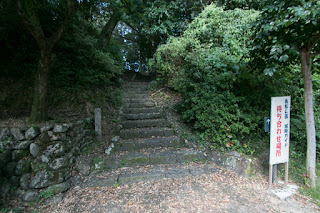 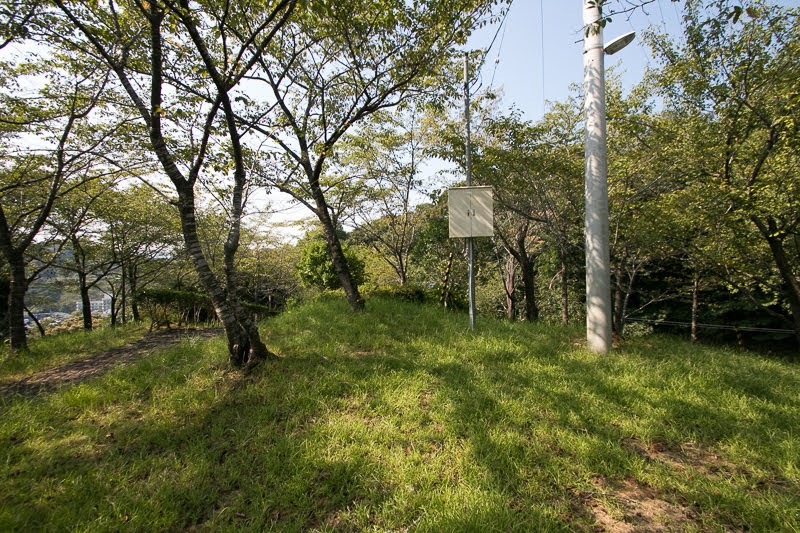 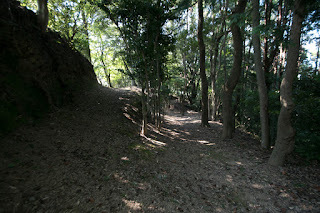 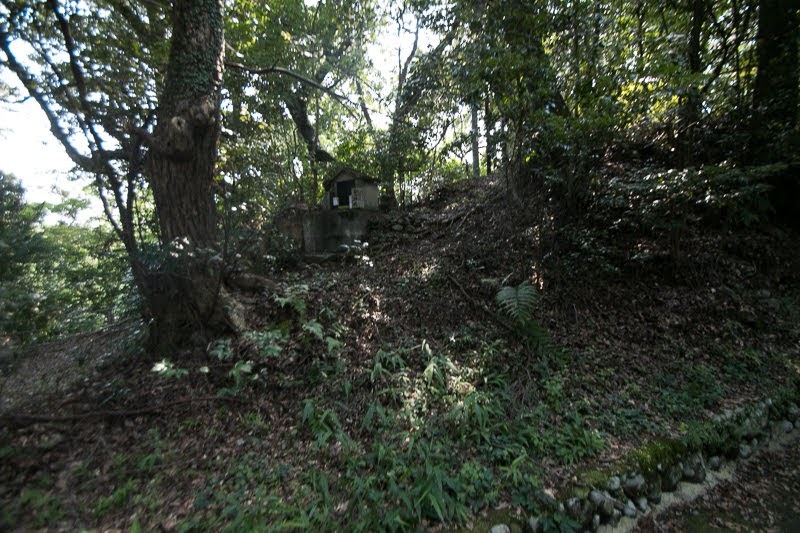 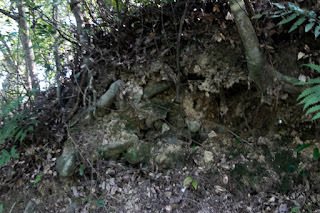 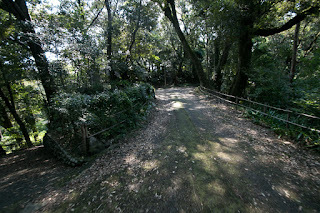 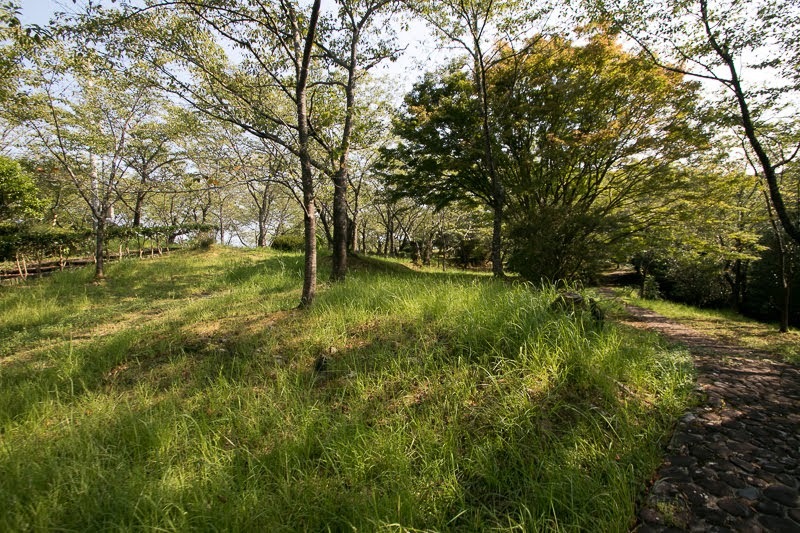 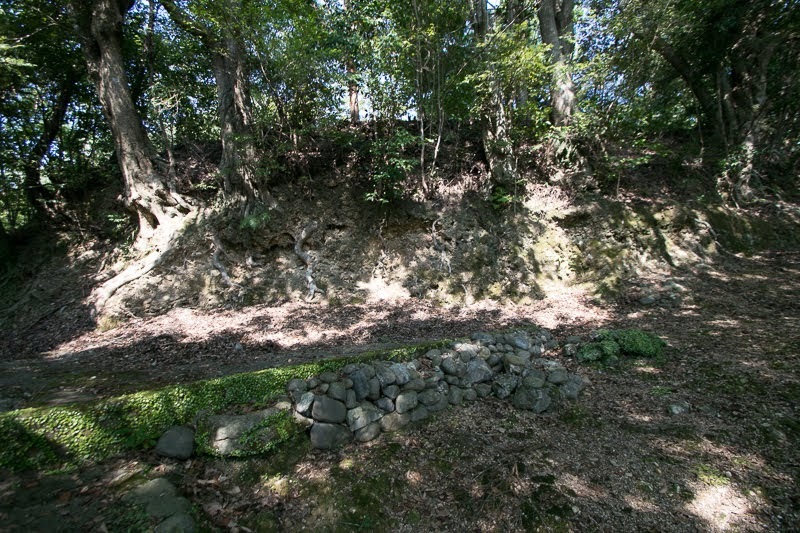 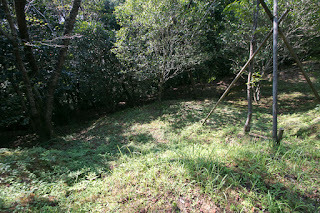 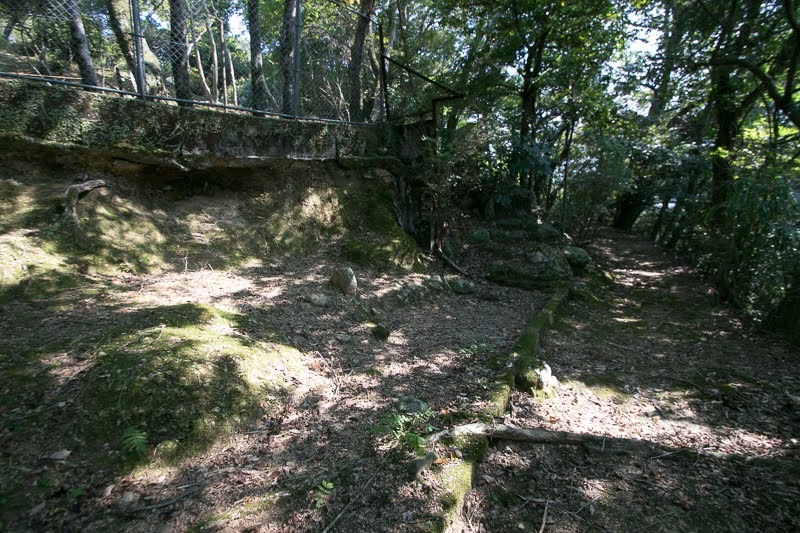 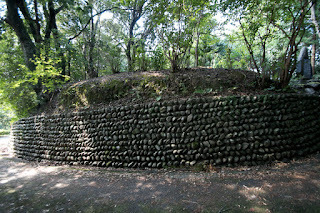 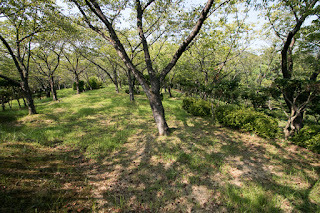 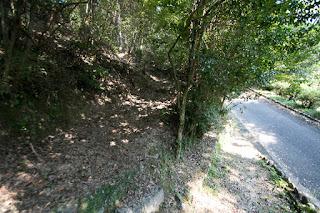 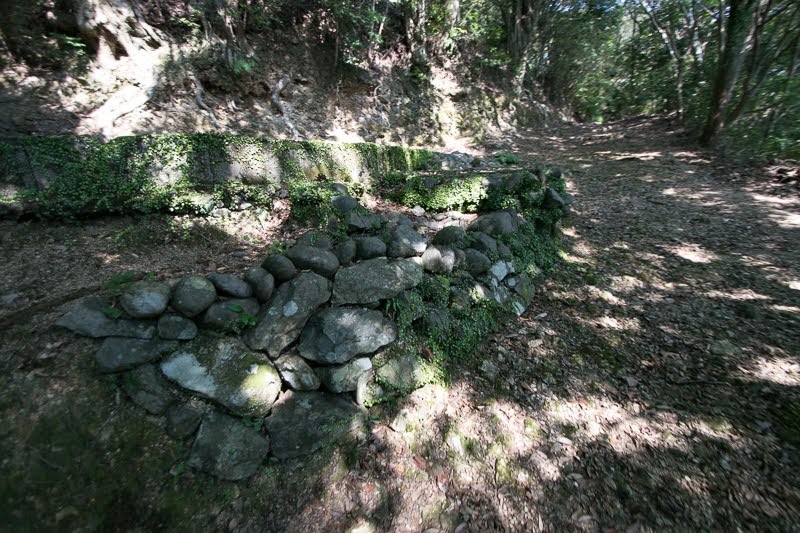 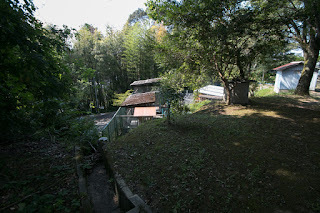 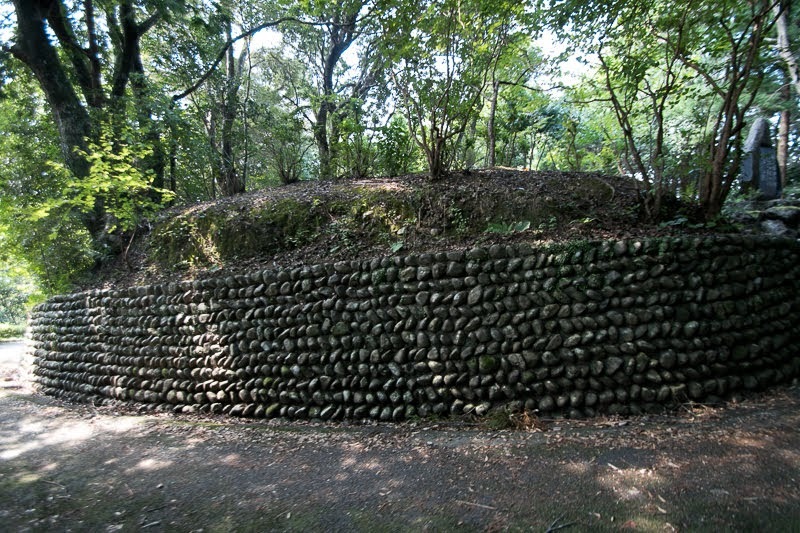 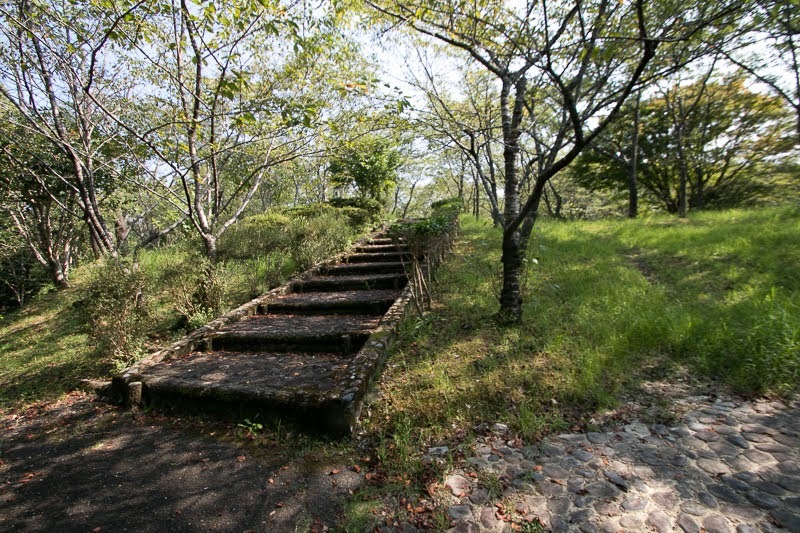 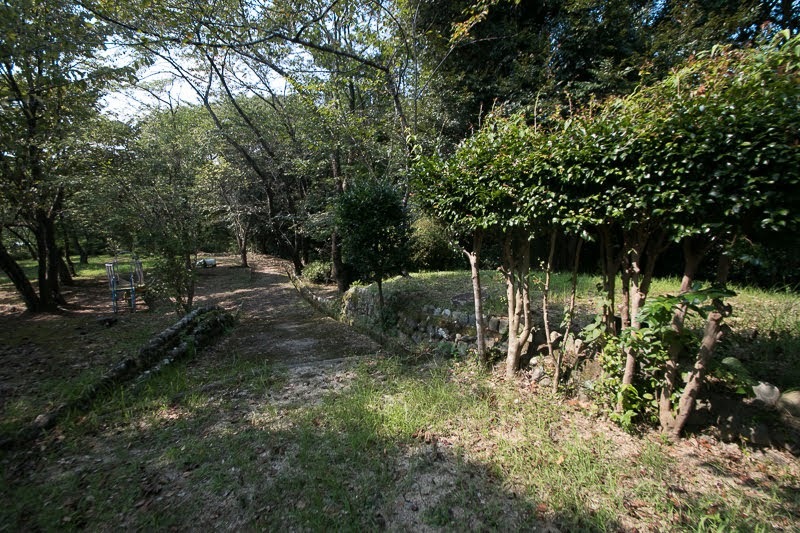 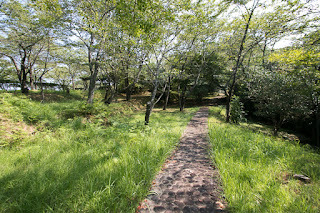 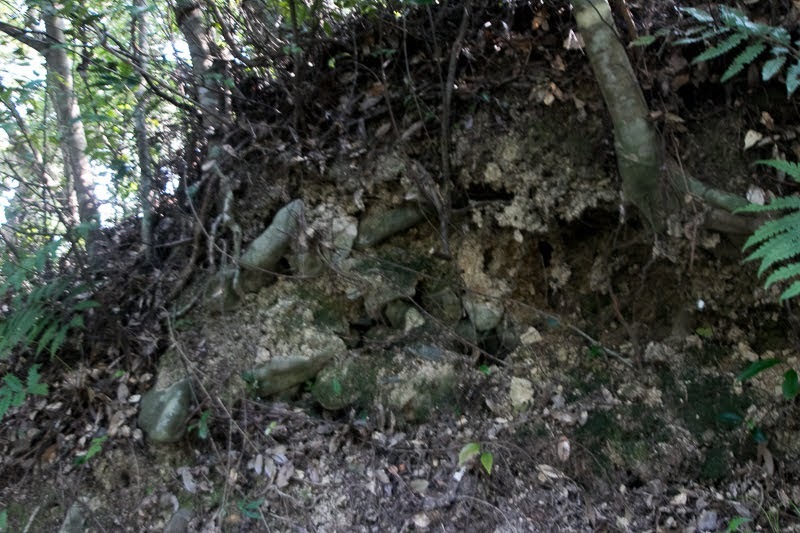 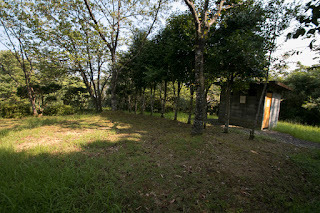 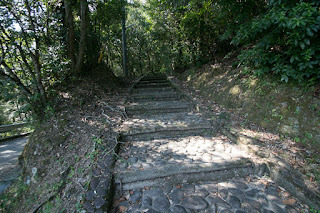 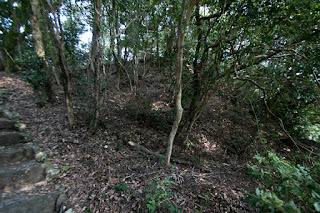 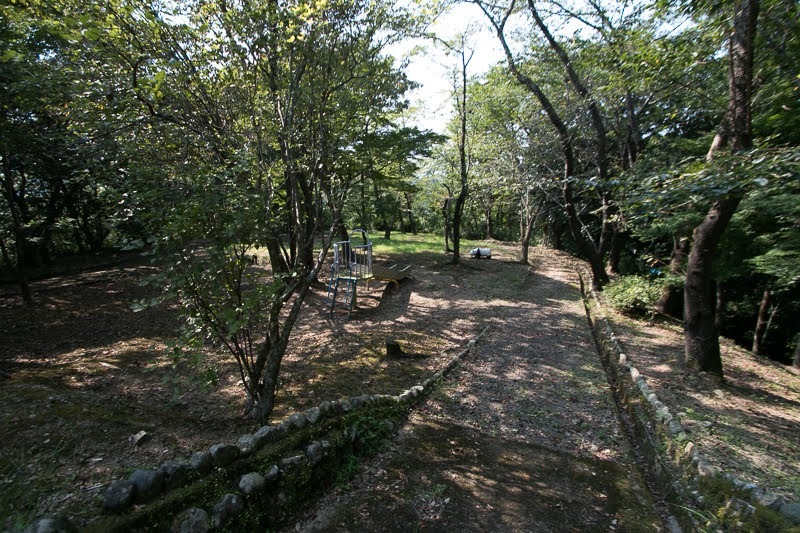 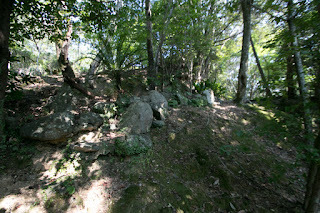 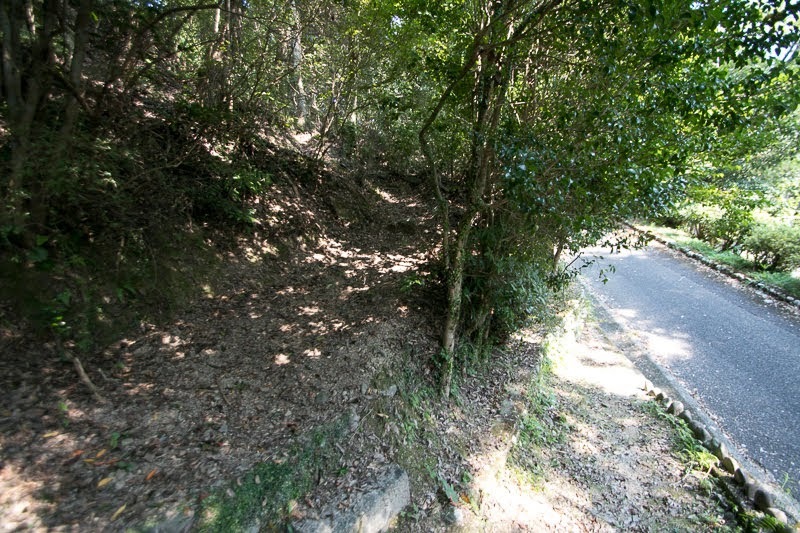 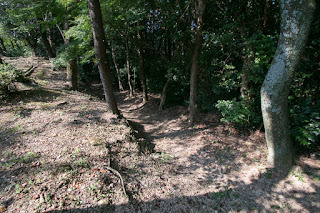 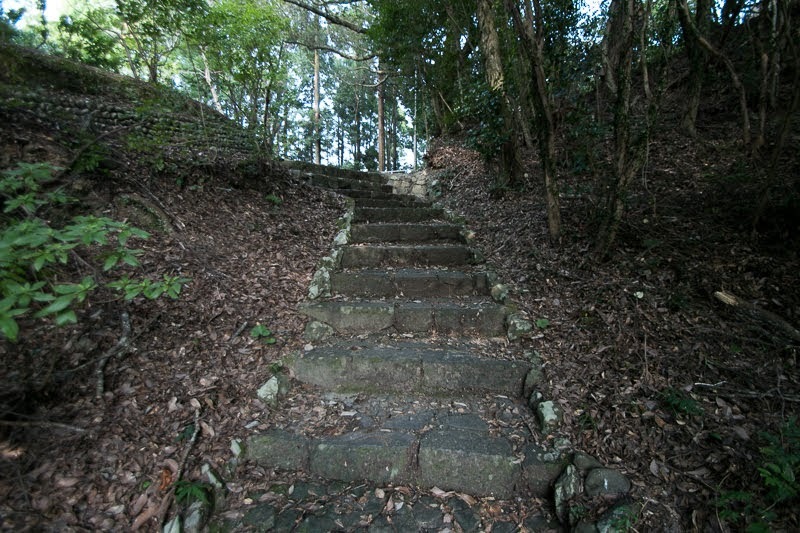 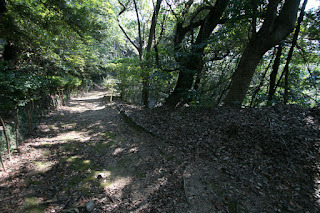 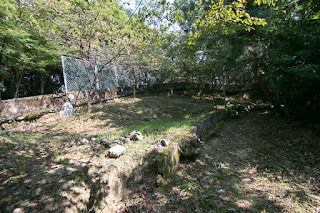 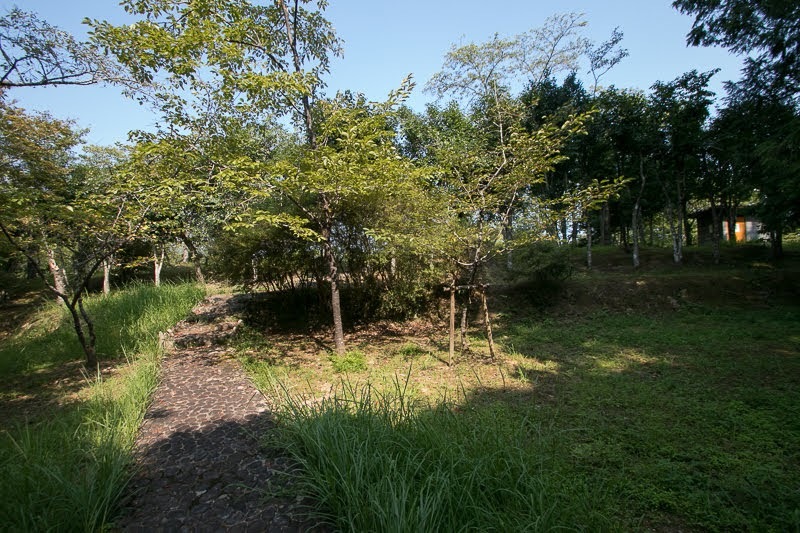 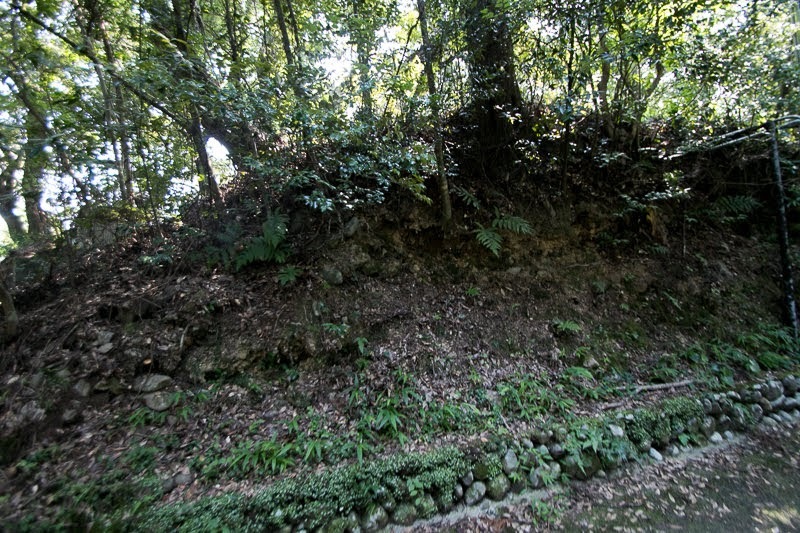 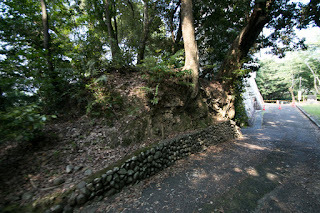 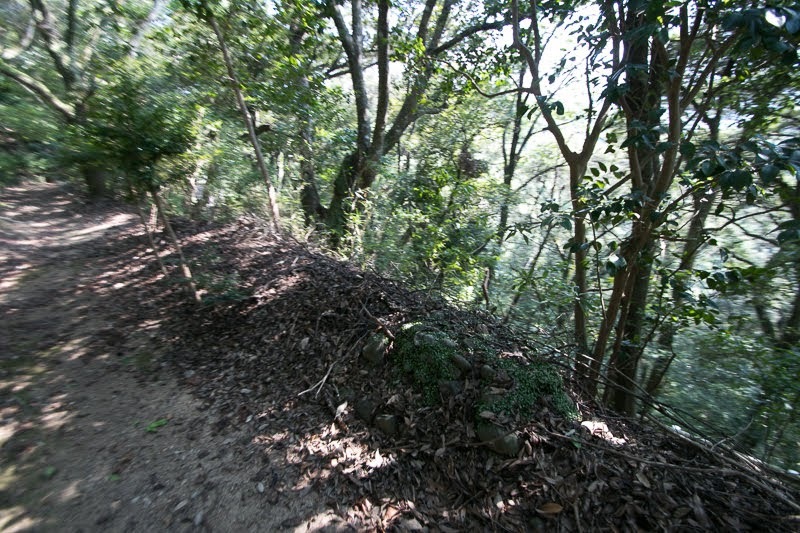 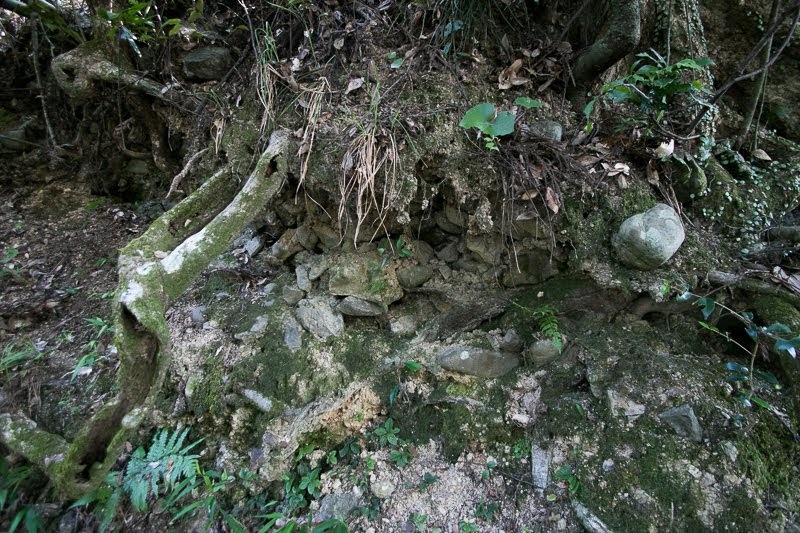 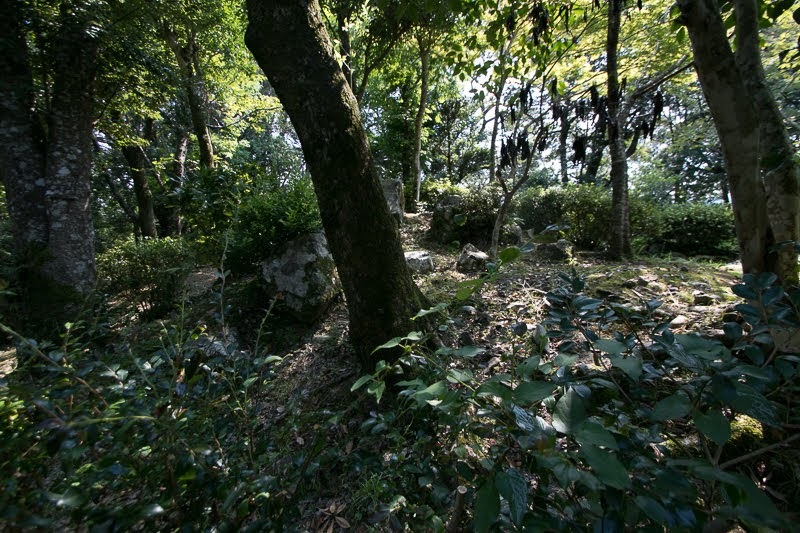 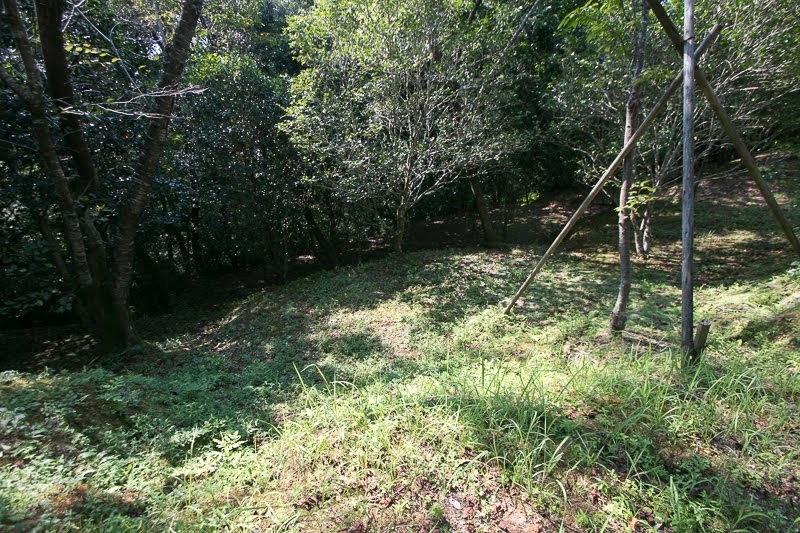 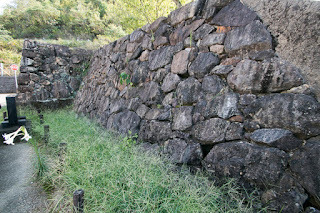 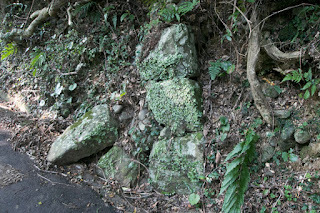 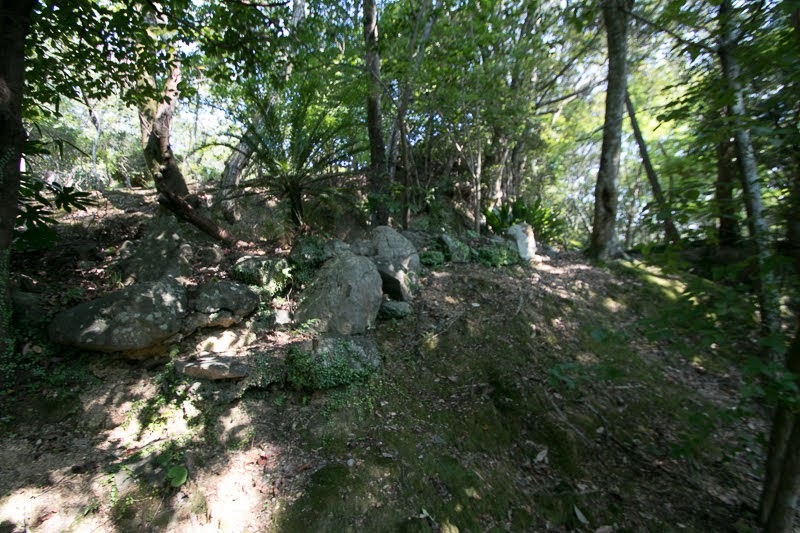 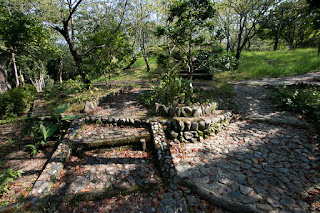 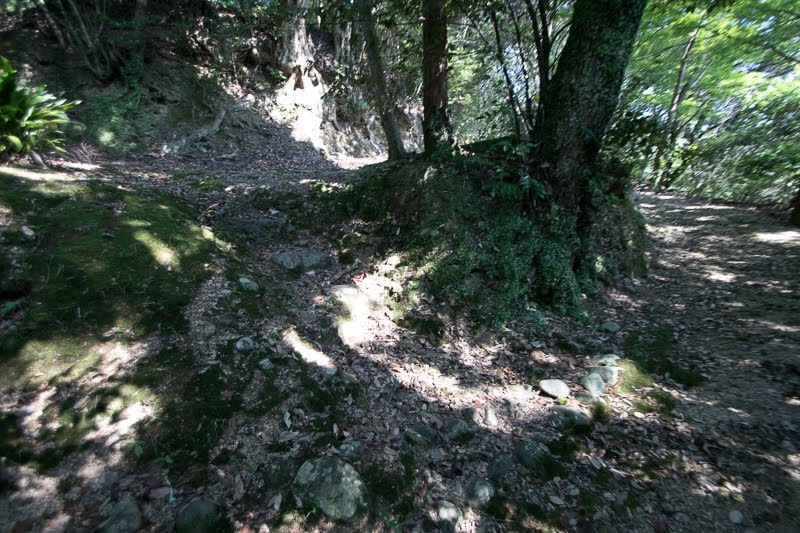 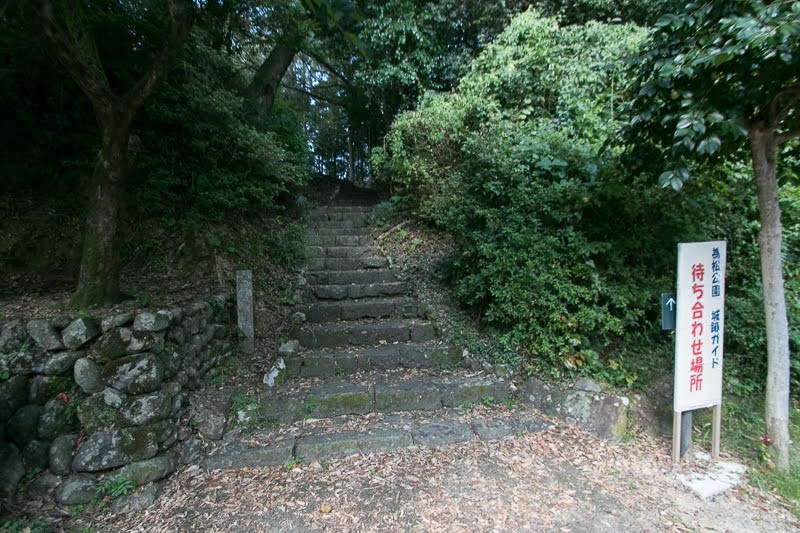 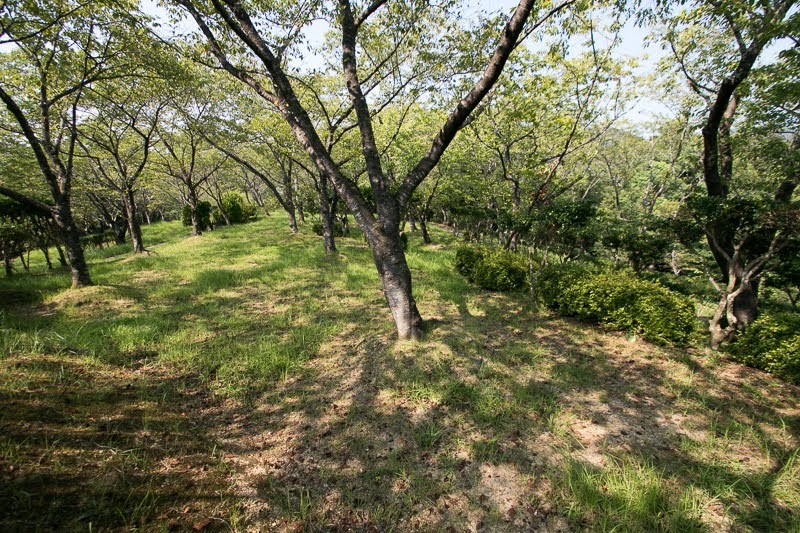 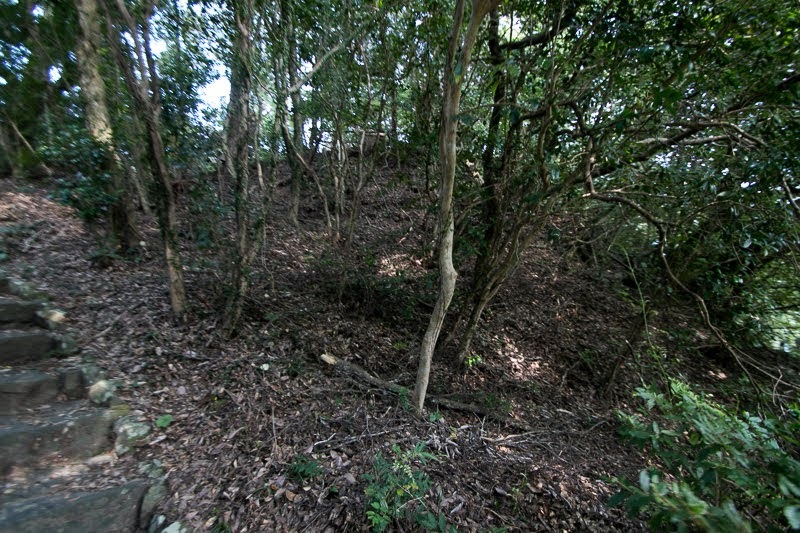 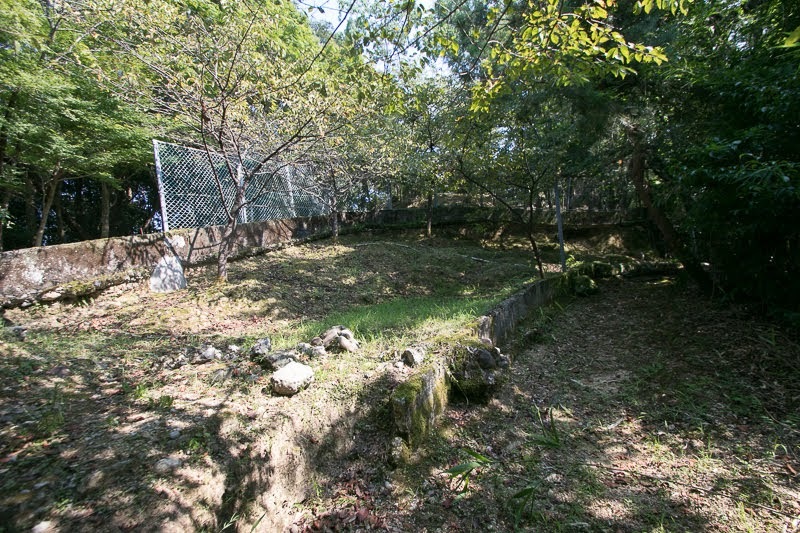 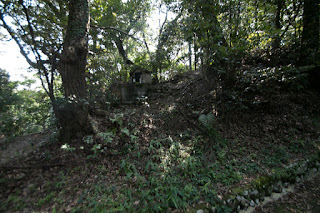 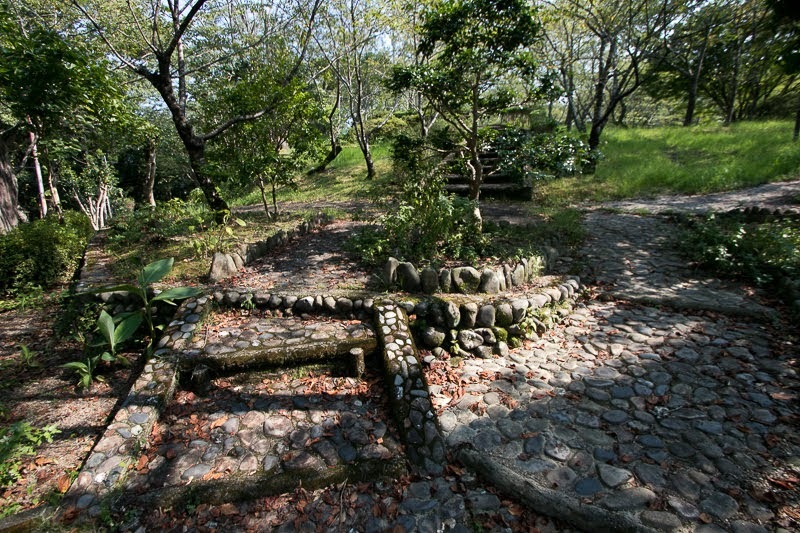 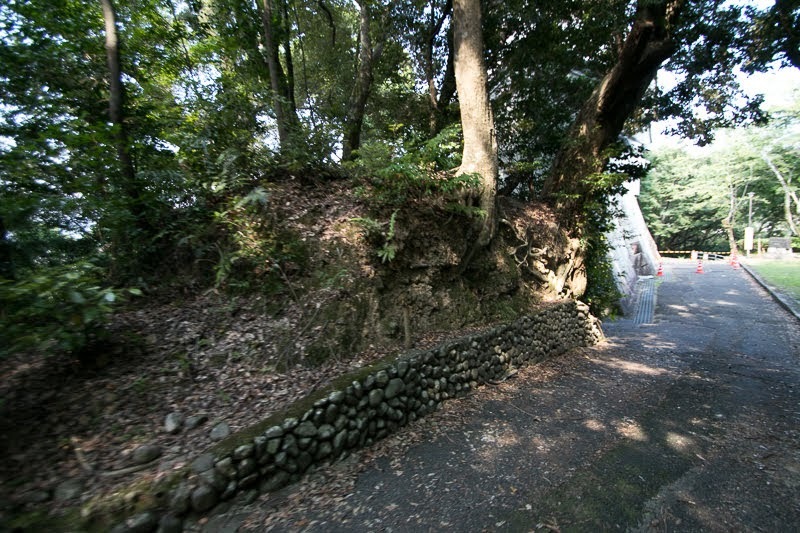 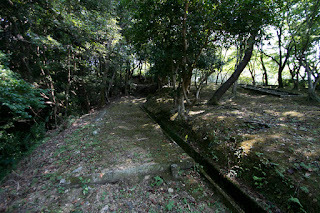 Ahead of the north cliff of the hill, there was an another peak which was higher than central area and had several terraces including the area called as inner castle, and this part might be the area of Ichijo clan, But this part disappeared by the recent development, and the part of the stone wall was moved as a monument. 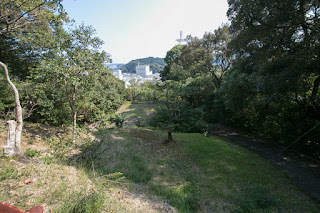 On the other hand, at southward from central area, there are large terraces spread at gentle slope. 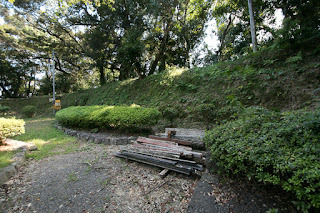 These part might be changed at the construction of the part, but there might be storage or residential area. 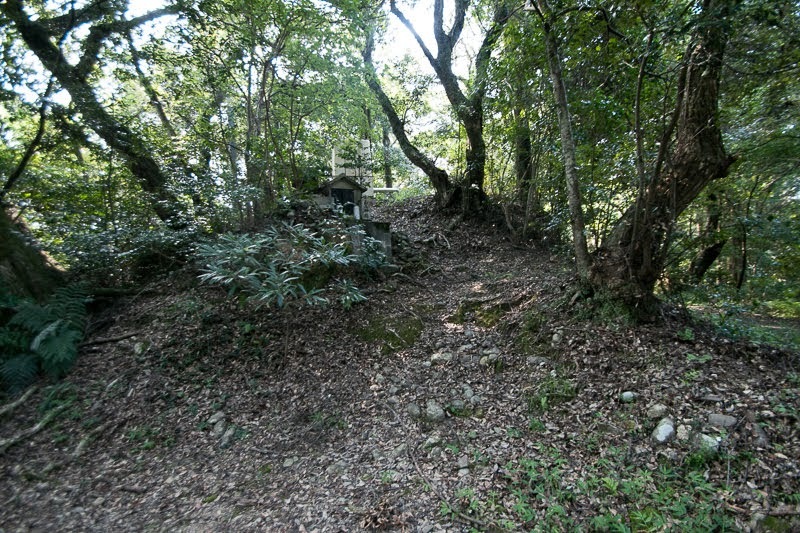 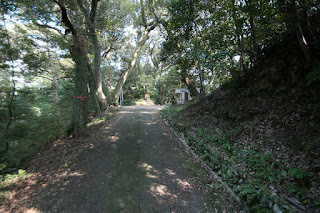 The formal residence of Ichijo clan located at the eastern hillside of the hill, today used as a ground of Ichijo shrine. 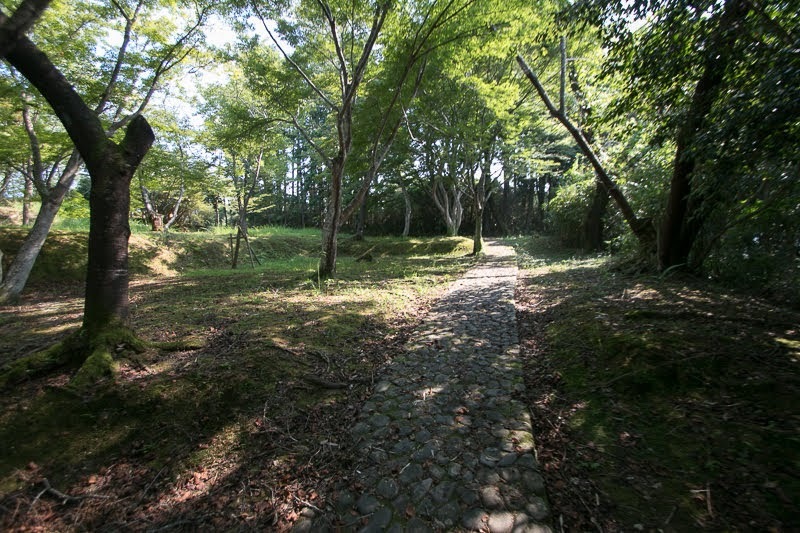 At the beginning of 16th century, Hosokawa clan which controlled Tosa province significantly lost their power by internal conflicts and retreated from Tosa province.. 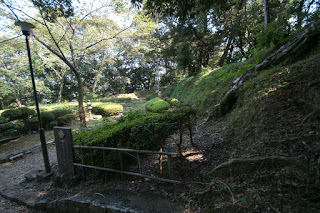 The province was divided by seven major local lords, and Ichijo clan was regarded as a prominent leader of them by its authority and economic power. 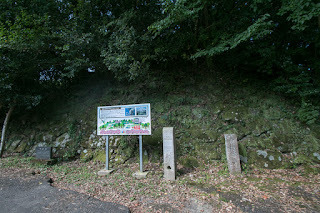 In 1508, Chosokabe clan which was the lord of Oko castle and the smallest one of seven lords were attacked by other lords then Kanetsugu Chosokabe (?-1508), the leader of Chosokabe clan, killed himself at Oko castle. His son Kunichika Chosokabe (1504-1560) ran to Ichijo clan and asked their help, then Fusaie Ichijo supported Kunichika to return to his territory. But it was a fatal misjudge for Ichijo clan. At the time of Fusamoto Ichijo (1522-1549), the grand son of Fusaie Ichijo, Ichijo clan became its peak. 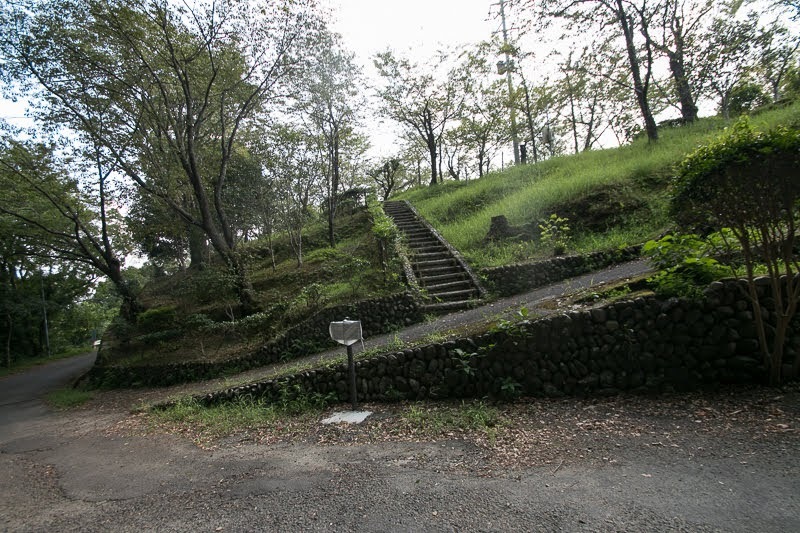 Fusamoto broke Tsuno clan which rebelled to Ichijo clan, then proceeded into the western part of Tosa province and captured Hasuike castle. Beside, Fusamoto allied with Iyo Utsunomiya clan, the local lord of Ozu castle (Ehime prefecture) then advanced into southern part of Iyo province. However, around this time, trade toward the continent which brought the wealth to Ichijo clan was strictly limited by the policy of Ming Dynasty. 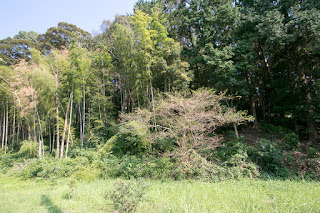 Chosokabe clan which was formerly rescued by Ichijo clan gradually grew and captured the territory of Ichijo clan a t Kochi plain, and the main family of Ichijo clan at Kyoto city which hoped to keep authority apart from conflict of the lords disliked the activity of Tosa Ichijo clan. 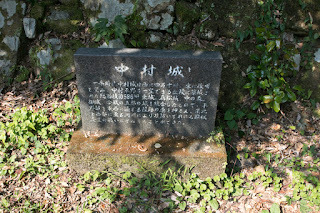 Among such situation, Fusamoto Ichijo deeply despaired the died in youth. His son Kanesada Ichijo (1543-1585), the last leader of Ichijo clan as a warlord, succeeded the leader in youth but was supported by main family of Ichijo clan at first. After grow up Kanesada took the governance by himself. 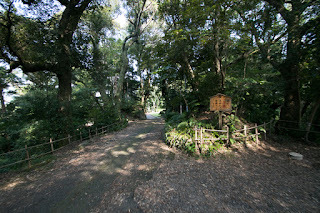 Around this time, Chosokabe clan significantly grew under their new leader Motochika Chosokabe (1539-1599). Chosokabe clan overwhelmed their fatal rival Motoyama clan, then absorbed surrounding small clans and became the largest power of Kochi plain. 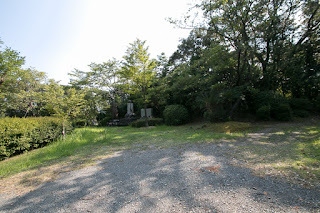 Originally Ichijo clan had to cope with the growth of Chosokabe clan, but Kanesada forced the troops toward Iyo province under cooperation with Otomo clan, the warlord of Bungo province (Oita prefecture) and father in law. 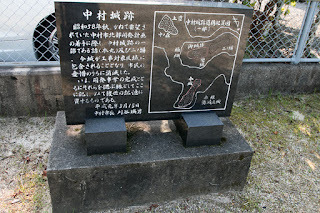 Otomo clan urged Kanesada to intrude into Iyo province which is nominally governed by Kono clan, as a side operation toward Mouri clan which was the rival of Otomo clan and supported Kono clan. In response to the intrusion of Ichijo army, Mouri clan sent a large army to support Kono clan. 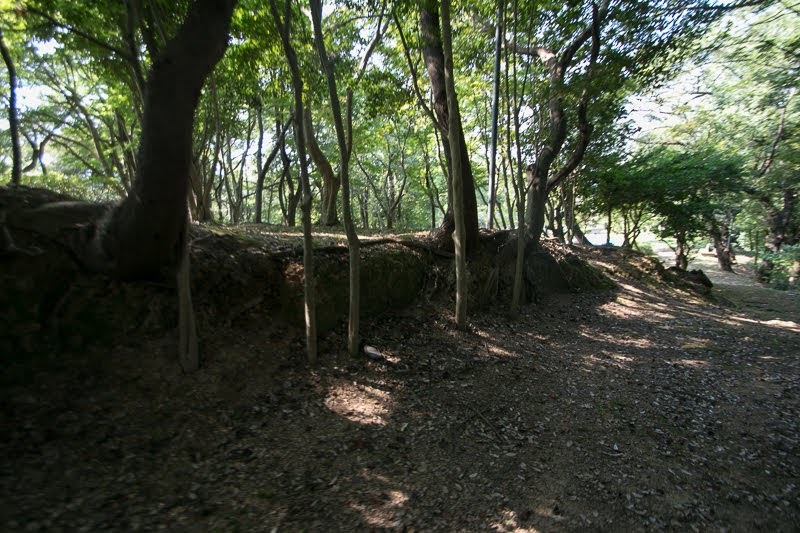 On the other hand, Otomo clan did not send reinforcement army to Ichijo clan, thus Ichijo army had to face with overwhelming Mouri army only by themselves. Ichijo army well fought but finally lost the battle and retreated to Tosa province. 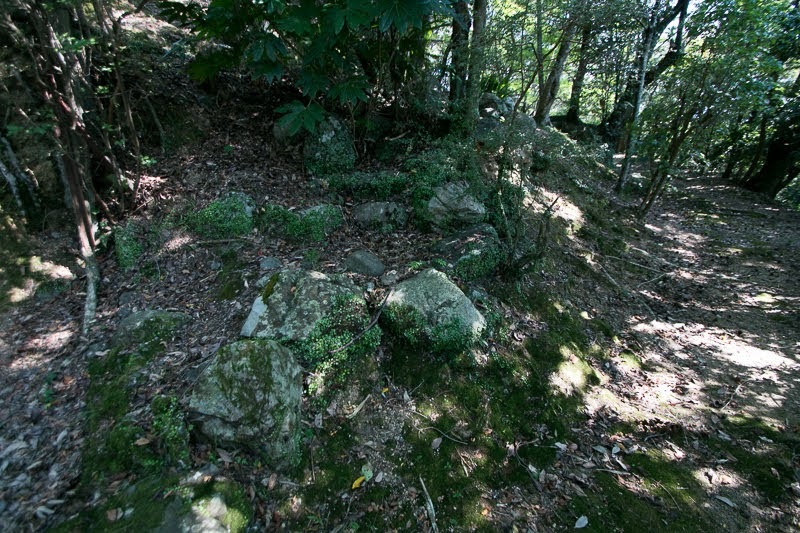 This defeat significantly declined the authority of Ichijo clan. 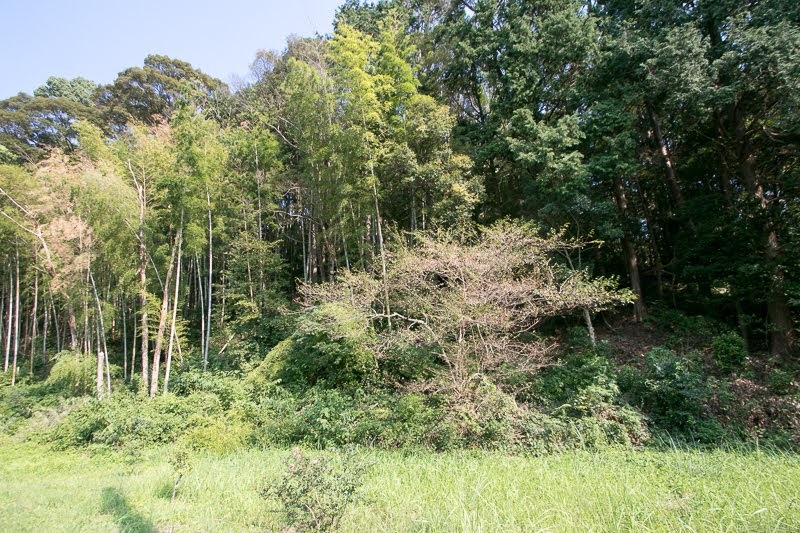 To prevent the growth of Chosokabe clan Kanesada tried to cooperate with Aki clan, the lord of Aki castle at eastern part of Kochi plain. 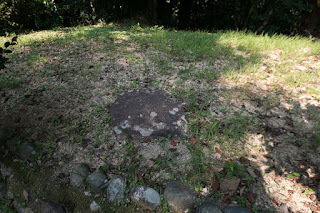 But before the action of Ichijo clan, Aki clan was ruined by Chosokabe clan in 1569. Next Motochika urged Satake clan, an important retainer of Ichijo clan at Kure castle to turn to Chosokabe clan. As Kure area was a corridor between Kochi plain and Nakamura area, other castles of Ichijo clan such as Hasuike castle were captured by Chosokabe clan without support from Ichijo clan. 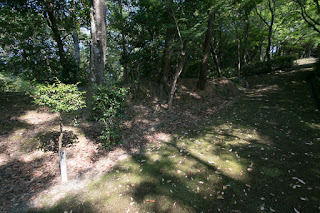 Among such situation, Kanesada purged his important retainer Sosan Doi (?-1569). 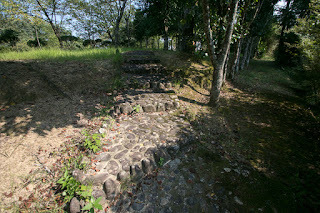 Sosan was a trusted general bad both of braveness and intelligence, and remonstrated to his master. 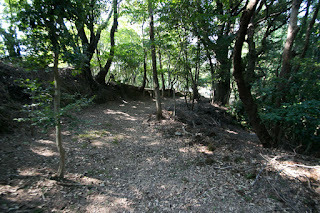 But Motochika spread the rumor of his betrayal, and suspicious Kanesada was trapped by this plot then totally lost the confidence among retainers..
To avoid the bad reputation to ruin their obligor, Motochika urged the collapse of Ichijo clan and succeeded. In 1573, Kanesada was forced to retire by his important retainers, including Tamematsu clan at first supported the entrance of Ichijo clan. 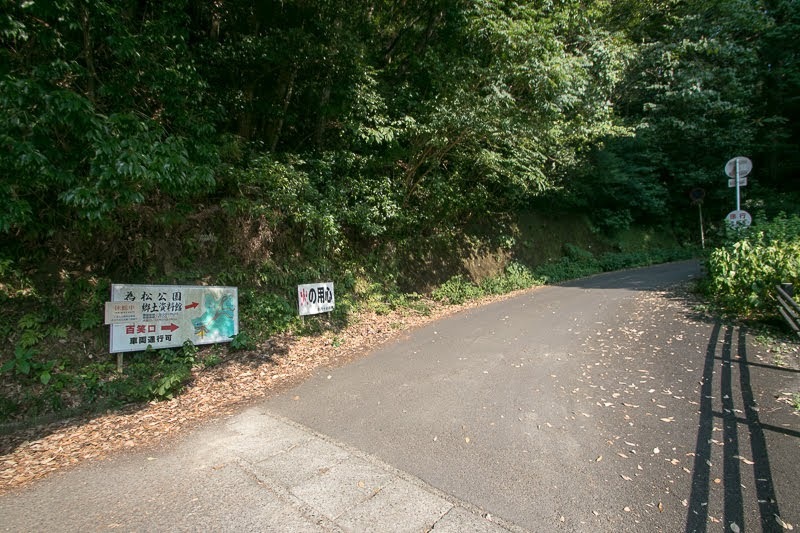 Later there was an internal conflict between these retainers and the supporters of Kanesada, and Motochika occupied Nakamura city utilizing this conflict next year. 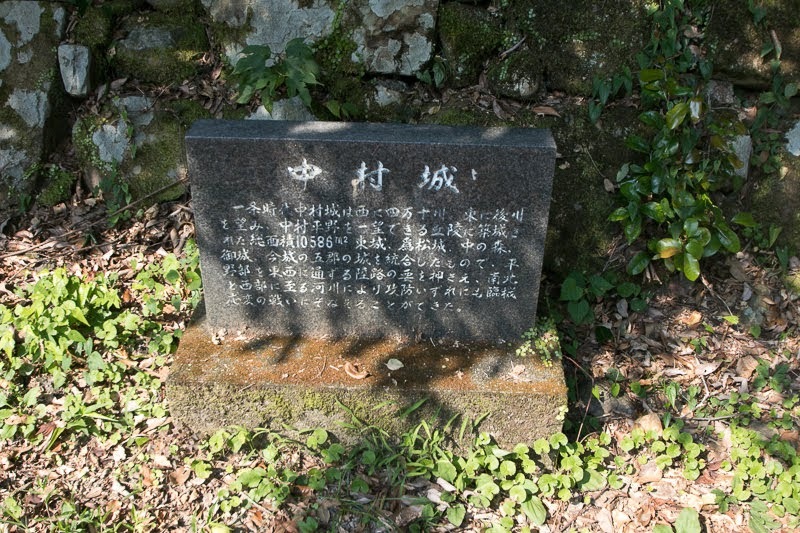 Kanesada once expelled to Otomo clan, his father in law, but landed to Tosa province to recover his territory in 1575. 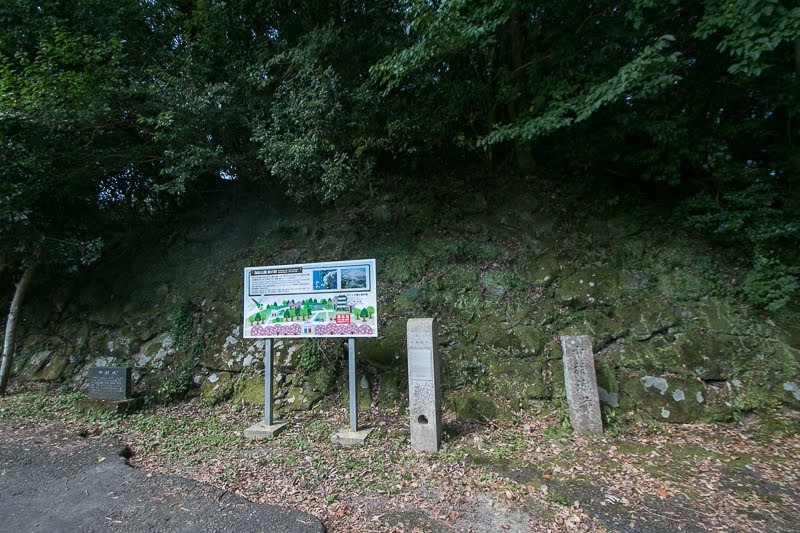 Former retainers of Ichijo clan gathered to Kanesada, but Kanesada suffered severe defeat before overwhelming Chosokabe army at the battle of Shimanto-gawa river. After this battle Kanesada retired in the small island at Seto-Naikai sea then left the world believing Catholic. He was not good at as a warlord, but at last settled at his place losing every thing. 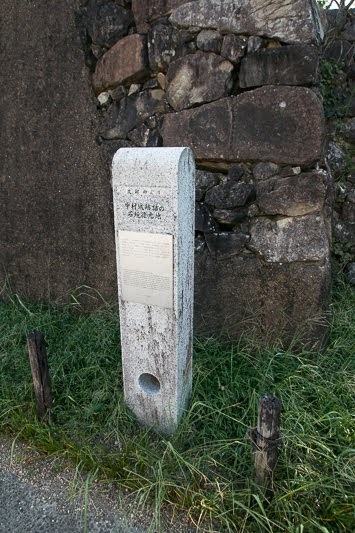 Contrary to this, Motochika who completed his desire of uniting Tosa province, also proceeded into the next stage, the unite of Shikoku island. 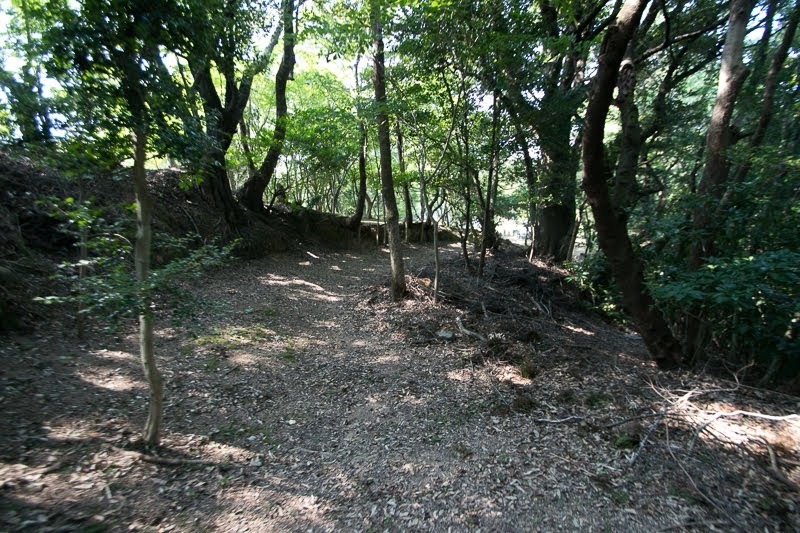 Nakamura castle was used as a branch of Chosokabe clan, and after the fall of Chosokabe clan as a result of the battle of Sekigahara in 1600, new lord Yamauchi clan also used it as a branch castle. 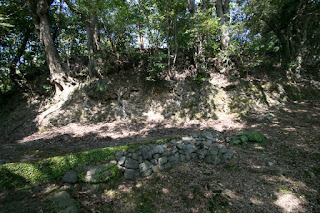 Yamachi clan reformed Nakamura castle with stone walls, but was finally abolished under Ikkoku Ichijo Rei, the one domain one castle rule published in 1615. 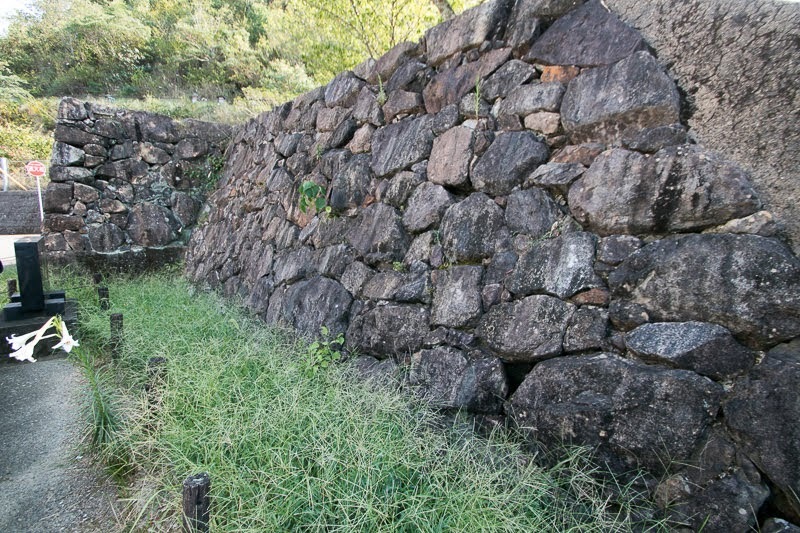 Now all building was lost but structures of the castle remained with modifications. 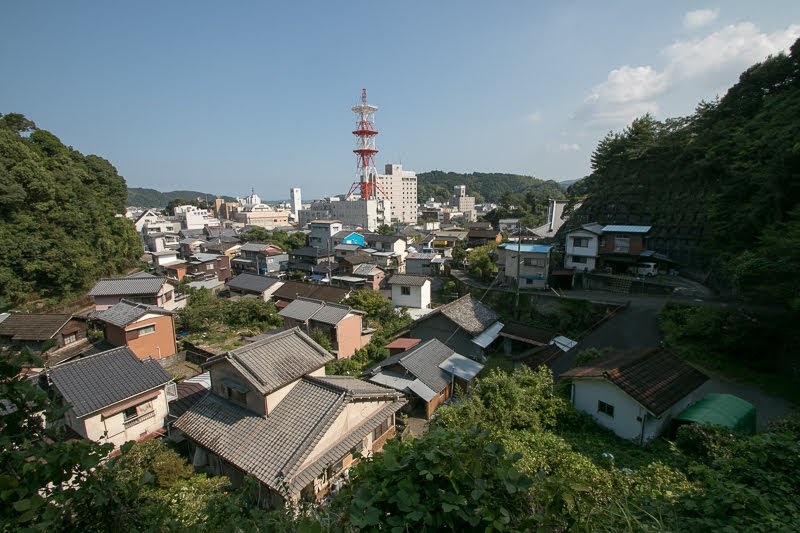 The traditional town of Nakamura area praised as small Kyoto was devastated by severe earthquake occurred in 1946 and only grid like roads remain. 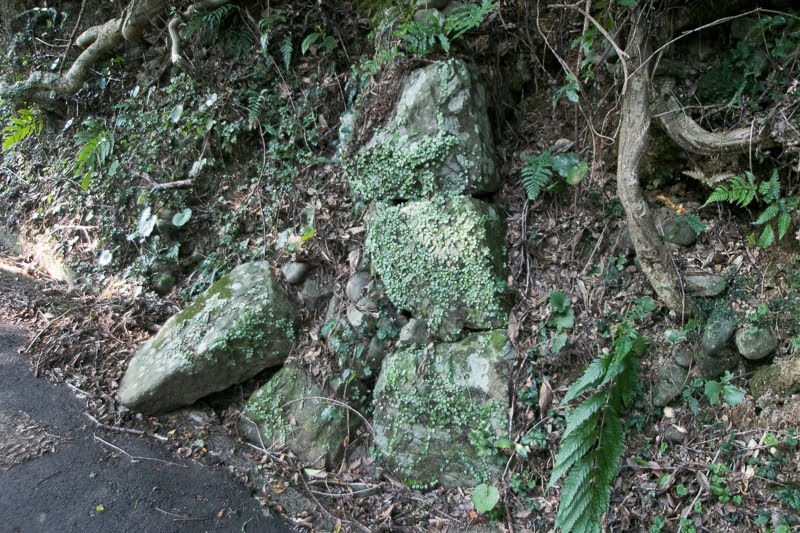 Only small remnants seen around the town shows the prosperity of Ichijo clan, and obsession of Chosokabe clan to capture the place in exchange of bad reputation of ruining benefactor. 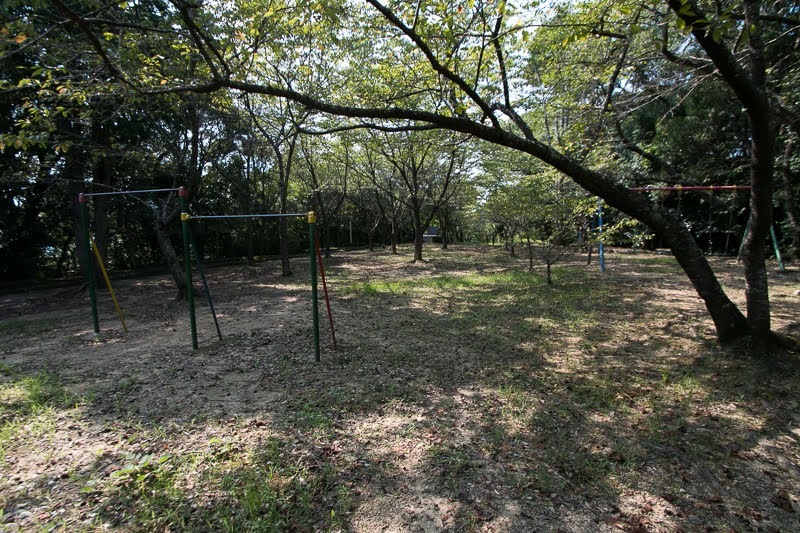 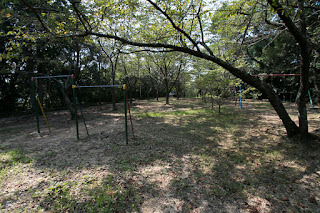 15 minutes walk from Tosa-Kuroshio Tetsudo Sukumo line Nakamura station. 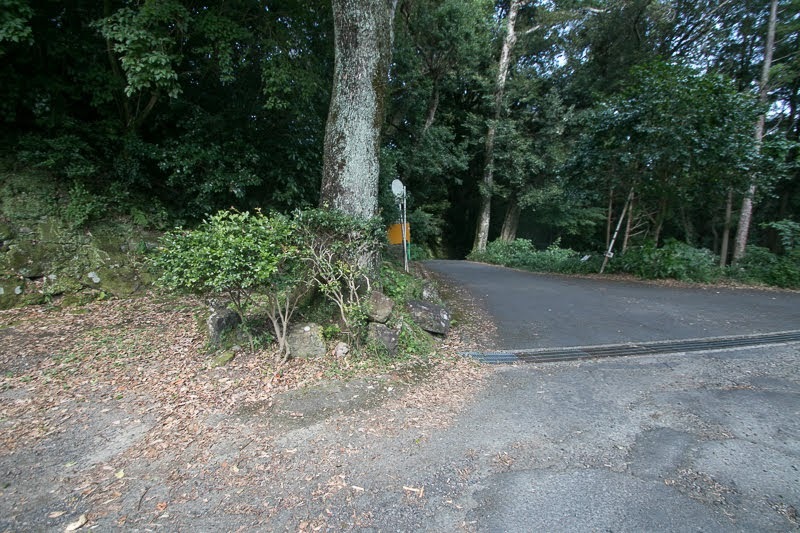 40 minutes drive from Kochi Jidosha Expressway Shimanto-Chuo interchange.